The Permian Basin Regional Planning Commission (PBRPC) 9-1-1 department provides 9-1-1 Public Education material for pre-K, elementary and middle school level kids! PBRPC has plenty of 9-1-1 Public Education material which is available to local fire agencies, EMS agencies and PSAPs for general public distribution. Materials include: pencils, pens, crayons, activity books, thumb bands, Cell Phone Sally costume, or and various other items. Public education materials are provided to residents in the region through school presentations, fairs, parades, or work- shops. 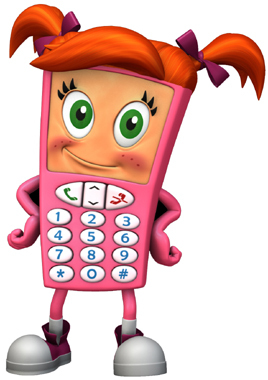 Cell Phone Sally, the 9-1-1 Mascot, is available to appear at these planned events. Information is available in both English and Spanish. To request 9-1-1 Public Education material or Cell Phone Sally costume, please email Susana Cardona or call (432) 563-1061 ext. 326.